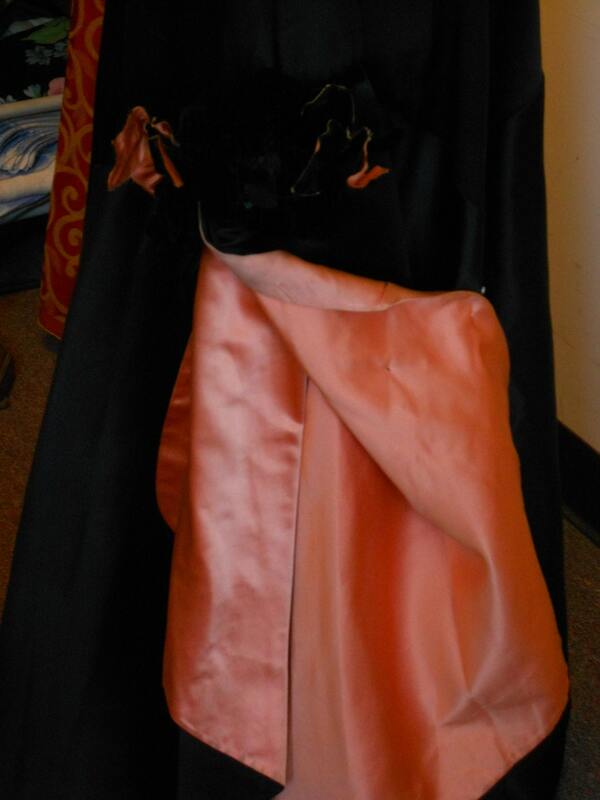 1950', 34" bust, pure silk black satin strapless ball gown, with peach colored satin flared underskirt, with a large black velvet rose atop slit at left side of skirt. The top of gown has sweeping wing like folds. 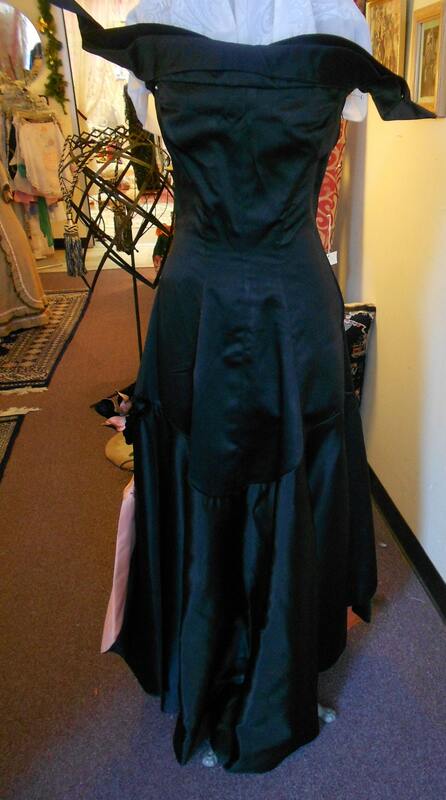 The gown is tight fitting from bodice to hips with a billowing two colored skirt. 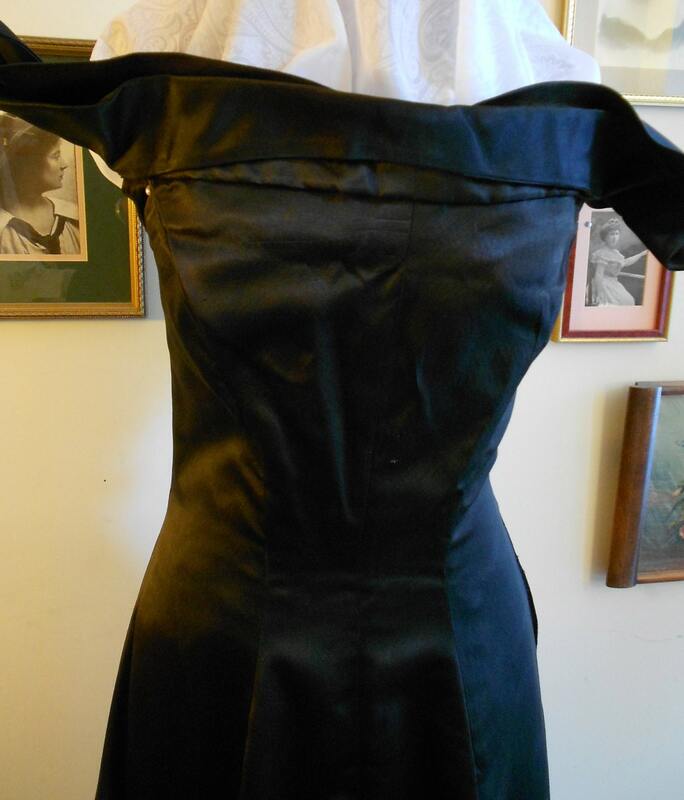 Gown is fastened on right side with a long zipper, and stays sewn into bodice. width at bottom of hem 190"